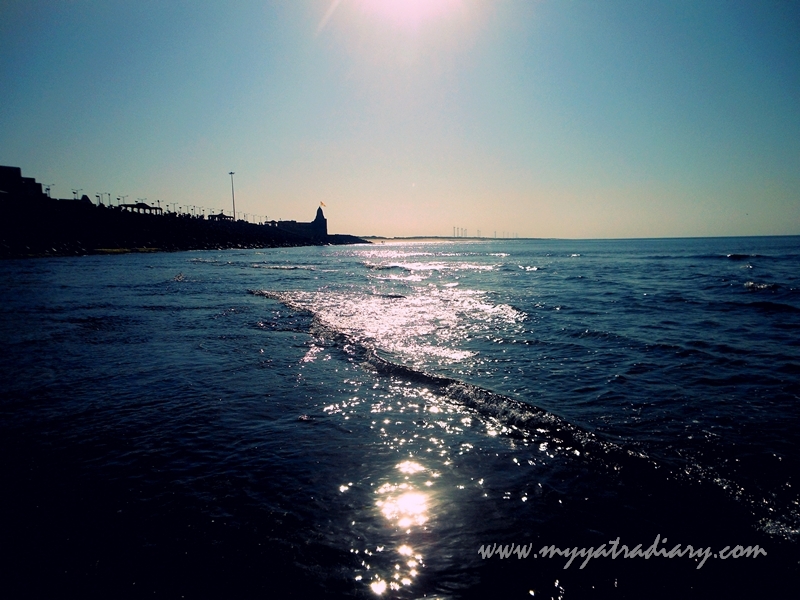 Soulie Saturday #3: With Every Breath I Take (Dwarka beach). create a better, brighter day. I see a dream wide and awake. laughter is a door ajar. for my own survival sake. And my long lost friend. Captured this while wandering aimlessly around the Dwarka beach. Though Dwarka is a major place of pilgrimage and remains crowded most of the year, you can find many quiet spots for yourself all around the area. The best thing about this particular area was not only its solitude and quiet but the intricate tapestry in nature ... that trail of light (see it?) leading right up to the temple standing majestically in the distance and as if the beaming waves were dancing in delight! A Soul Selfie series or '#Soulie' aiming to meaningfully strengthen my personal connect with my Father, God (you may choose to call Him by any name you like, as long as the reference and more importantly, the essence is retained) by peeping within my own heart — collecting your prayers and feelings too as you discover the world – and jotting them down on paper. It’s a spiritual exploration of that which is Unseen and a celebration of that Ultimate sacred space we yearn for - within and without - and the riches we carry in our own hearts. Do take part and share with My Yatra Diary... a piece of your heart. Here are things you can do if you want to join in. 1. Send me one picture clicked by you and a few lines by your heart on how that captured moment makes you relate with that Someone Higher in your life in a more meaningful and healthy way. 2. Follow along with the hashtag #soulie on Instagram. 3. Key in your suggestions if you have any and share the idea in any way you like!